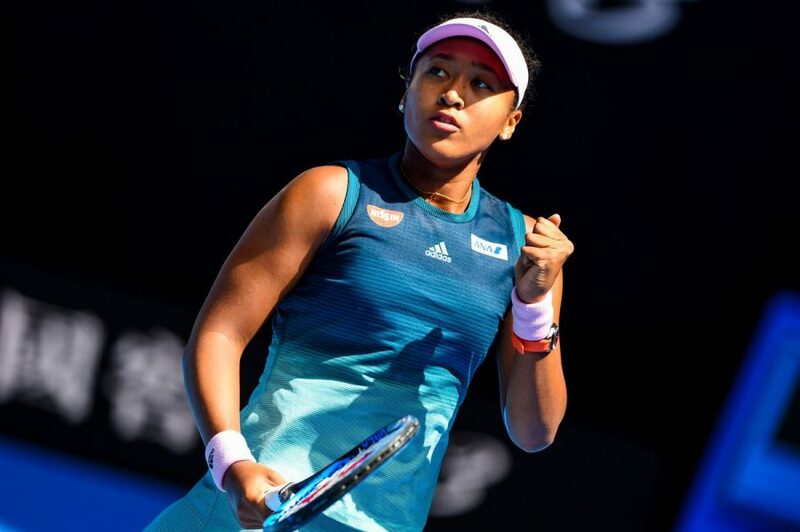 Charleston Post and Courier columnist James Beck reflects on Naomi Osaka’s Historic win at the Australian Open! Naomi Osaka! What a surprise this last year! Two straight Grand Slam titles and the world’s No. 1 ranking. Even Serena Williams might have a difficult time regaining the top ranking from Osaka. If the powerful 21-year-old Japanese stays healthy and keeps her head, she is likely to be No. 1 as long as she wants. A year from now, Osaka may own four or five Grand Slam titles. Osaka is just a smaller model of Serena. Maybe she’s not quite as strong as Williams, but Osaka appears to be better than Serena in several areas. I believe Osaka may actually be faster than Serena, and for sure quicker and more mobile. Osaka’s serve may not be quite as strong as Serena’s. Osaka’s serve is in the same league, not the single smooth brute strength motion as Serena’s, but Osaka’s power comes from the added acceleration on the downswing. Even if it’s not Serena’s serve, Osaka’s serve is outstanding. It should carry her to a bunch of Grand Slam titles. Obviously, there doesn’t appear to be anyone out there at the moment capable of surpassing Osaka’s ability. Osaka is a terrific athlete. Osaka’s upset of Serena in last year’s U.S. Open final obviously wasn’t an accident. Neither was Osaka’s win over Petra Kvitova in Saturday’s Australian Open final. Kvitova played excellent tennis most of the match with her incredibly low ground strokes from both sides and almost unreturnable out-wide serves on the ad side. Of course, Kvitova is a left-hander, and such serves are her bread-and-butter shots. Who could forget that Kvitova is a two-time Wimbledon champion? And she has overcome career-threatening injuries to reach her current level of tennis. She is not someone that Osaka or anyone can overlook in the future, especially in a few months at Wimbledon. There was no denying that Osaka was the better player in this one match, other than when she had triple match point in the second set. One of those “I don’t want to be here” emotions must have overcome Osaka for a brief time. I can’t forget what I saw happen last April at the Volvo Car Open, way out on the club court with a crowd of a less than 2,000 watching. There was Osaka walking to her bench in the midday heat during a round of 16 match against Julia Goerges. Osaka was sending a verbal message to her coach that she didn’t want to be there. And sure enough, Osaka soon was walking off the court in defeat. Osaka’s revelation at the Volvo Car Open brought out a caution flag about a player who only a few weeks earlier had earned a huge payday at Indian Wells. What was she thinking? To be playing in a big tournament on the WTA Tour would have been almost any tennis player’s dream. But not Osaka’s. She has won a couple of much larger paychecks since then. But you almost have to wonder what might happen when she wins a few more of these big paychecks the size of her two Grand Slam paydays and everything isn’t going her way. Will she really toss in the towel? Or will she have the never-say-quit drive of a Serena Williams? Few players have Serena’s level of mental toughness. But right now, Naomi Osaka is the face of women’s tennis. Will Jerzy Janowicz’s War With Polish Federation Ever Heal Over Time? Is there any solution to Jerzy Janowicz’s ongoing spat with the Polish Tennis Federation? Jerzy Janowicz has been involved with another spat with the Polish Tennis Federation, so will his latest war heal over time? 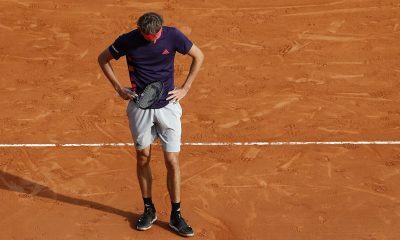 The latest public spat between Janowicz and the PZT concerns the Pole’s ongoing knee problems as he claims he got the wrong doctor’s assessment before Poland’s World Group Play-Off with Slovakia. In a tie they won 3-2 to make the World Group for the first time ever in 2015, Janowicz claimed that the Polish Federation doctors cleared him to play even though he had a bad knee. 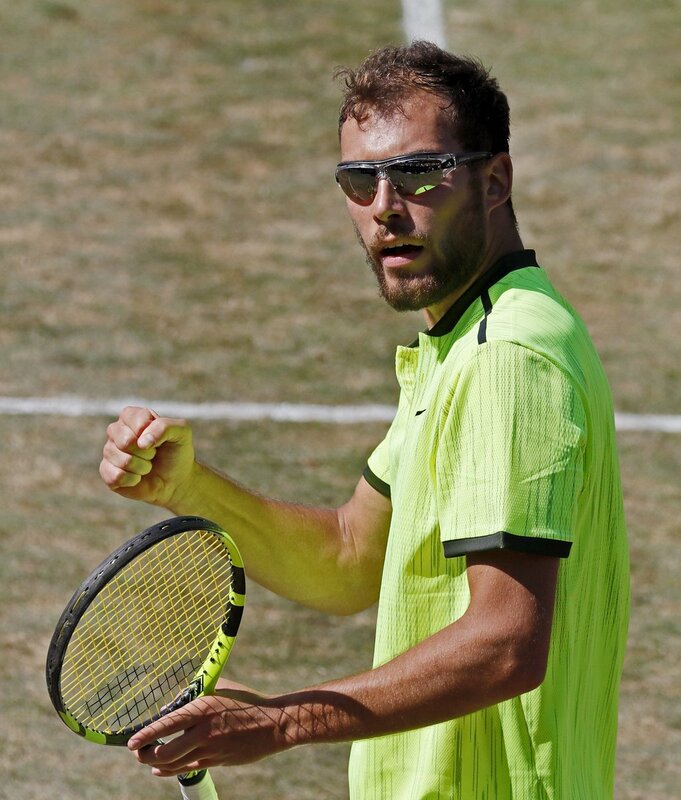 Since that tie Janowicz has never fully recovered and claims that the PZT are to blame for his current issues, “My career was in ruins just after the Davis Cup match with Slovakia in 2015. Then I had a knee problem,” Janowicz told sport.pl. 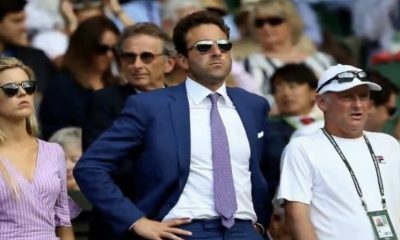 The former Wimbledon semi-finalist also stated that they have not contacted him on any updates since the injury and there is some regret about the situation, “At this level, such a mistake should not take place,” Janowicz explained. “The doctor of the Davis Cup representation during the match with Slovakia was Hubert Krysztofiak – director of the Central Sports Medicine Center and chairman of the Medical Committee of the Polish Olympic Committee. He was the head of the Medical Mission during the Olympic Games in Beijing 2008, Vancouver 2010, London 2012 and Sochi 2014. The physiotherapist of the Polish team was Krzysztof Guzowski – a long time personal physiotherapist Agnieszka Radwańska. It is untrue to accuse outstanding experts of an incorrect diagnosis because no diagnosis has taken place. Jerzy Janowicz came to the grouping of the team with a ready diagnosis and recommendations from his orthopaedist at the time. He made a conscious decision to participate in the grouping and provided the doctor with recommendations from an orthopaedist. On the part of the medical staff, the recommendations were filled one hundred percent. The player felt not only knee pain. He also reported a problem with the shoulder and elbow. Thanks to the work of the physiotherapist, he was able to perform in front of the Polish audience, what he cared about and for which he was rewarded, also financially. After playing matches, he did not report any pain. Despite this, the team of staff after finishing competition with Slovakia recommended Jerzy Janowicz to perform additional imaging tests to rule out a serious injury. “Jerzy Janowicz had a conversation with the Head of PZT Training, Rafał Chrzanowski. In the interview, he deprecates an extremely valuable contract for PZT with a serious partner who has already helped our tennis players many times. 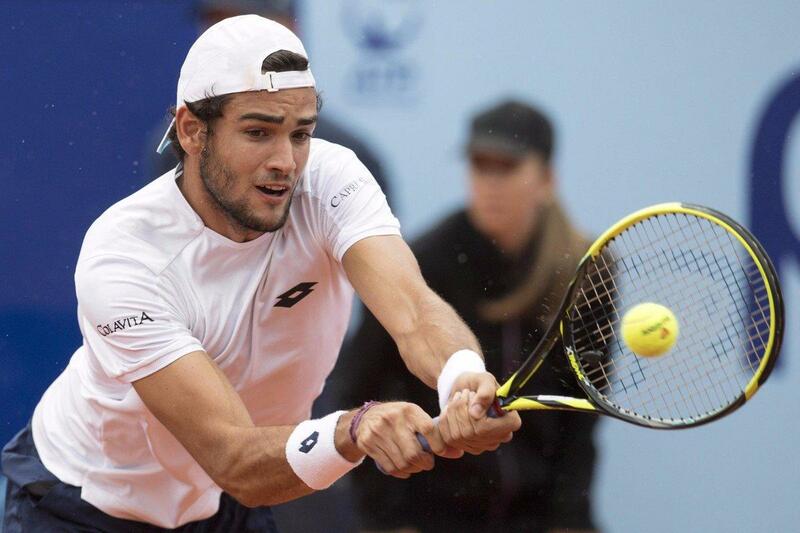 Chrzanowski explained to Jerzy Janowicz that the PZT agreement with the Rehasport clinic does not include the procedure he wants to use, while the Polish Tennis Association will try to ensure that the clinic treats the player as a priority and proposes preferential terms. Chrzanowski and PZT chairman Mirosław Skrzypczyński contacted the Rehab Sport clinic. Thanks to help from PZT, Jerzy Janowicz was able to use the services of the best specialists on very good terms. It seems that the Polish Federation are very confident that they offered Janowicz the right medical treatment despite the Pole complaining on a number of occasions about the Polish Federation’s lack of help and contact. Since then the Pole has responded claiming that the head of the Polish Federation has ‘amnesia’ and will return with more fight when he comes back. This war of words doesn’t seem to be ending any time soon as Janowicz continues his rehab and comeback to Tennis as he looks set for a return in July. The problem between him and the Polish Federation has been going on for years and so the relationship looks damaged. Although his return to the Davis Cup looks non-existent, it is clear that the PZT wants Janowicz to continue doing well and return with the greatest power. After two surgeries it looks like Janowicz isn’t happy with the original diagnosis and seems to blame them for the pain caused. Even though there is a saying ‘Wounds heal over time,’ I don’t think that will be the case with Janowicz as he will look to prove a point when he returns to Tennis. Osaka is currently one of the most sought after tennis players in the world, but not everything is perfect. Exactly 12 months ago Naomi Osaka was yet to crack the world’s top 40 or win a WTA title. Now she is a two-time grand slam winner, reigning Indian Wells champion and the first Asian player in history to become world No.1. It has been a sensational 12 months for the powerful hitting 21-year-old, but there continues to be the inevitable setbacks. On Tuesday Osaka took to the court of the Dubai Tennis Championships. Taking on Kristina Mladenovic in what was her first competitive match as world No.1, she crashed out 6-3, 6-3. Winning only 35% of her service points and making 25 unforced errors. According to data from the ITF, she is the first player to lose their opening match after rising to the top of the WTA rankings. “I haven’t been practising well recently. I just thought, like, it would go away during the matches. I was kind of counting on that. That didn’t happen, so…” Osaka reflected during her press conference. Osaka has never been the kind of player that loves the media limelight. Her shy and introverted personality is one that has won over the hearts of many fans. However, In recent months Osaka has become a household name. Appearing on the front of numerous newspapers in Japan, signing multi-million dollar sponsorship deals, staring in advertising campaigns and earning numerous accolades. Her most recent achievement was at the Laureus Awards, where she was named breakthrough of the year. With her rise in fame, Osaka also faces more scrutiny in her decisions. Something she was reminded of last week when she ended her collaboration with coach Sascha Bajin. Bajin won the WTA Coach of the Year away in 2018 for his work with Osaka. “I don’t think I necessarily understand what position I’m in, in a way, because last year I wasn’t even anywhere close to this ranking. People didn’t pay attention to me. 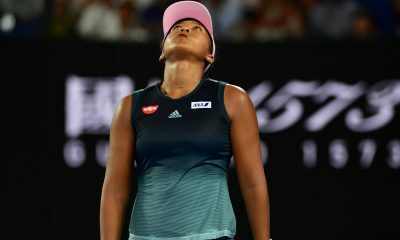 That’s something that I’m comfortable with,” said a tearful Osaka. “I don’t really like attention. It’s been a little tough.” She added. Despite her successes on the court, it has not immune the Australian Open champion from online trolls. 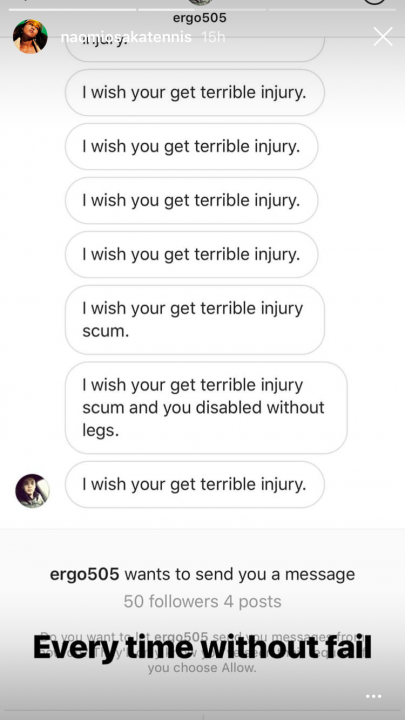 Shortly after her loss to Mladenovic, Osaka received a series of abusive messages on social media. In her Instagram story, she wrote that she was ‘used to’ getting insulting comments online. 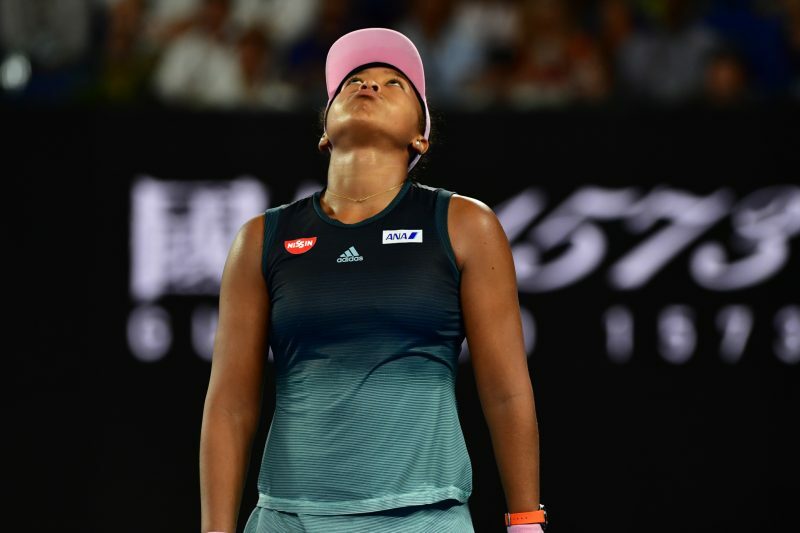 Like other players in the past, Osaka is not afraid to admit that her position as the best ranked player in the world is daunting, both mentally and physically. Although she has bounced back from nightmare matches before. 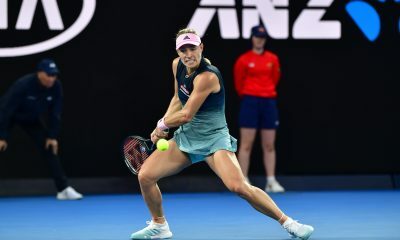 Earlier this year, she said she, ‘had the worst attitude’ during her loss at the Brisbane International, before going on to win the Australian Open title. She also lost in the first round of two consecutive tournaments heading into the US Open, where she claimed her maiden major title. 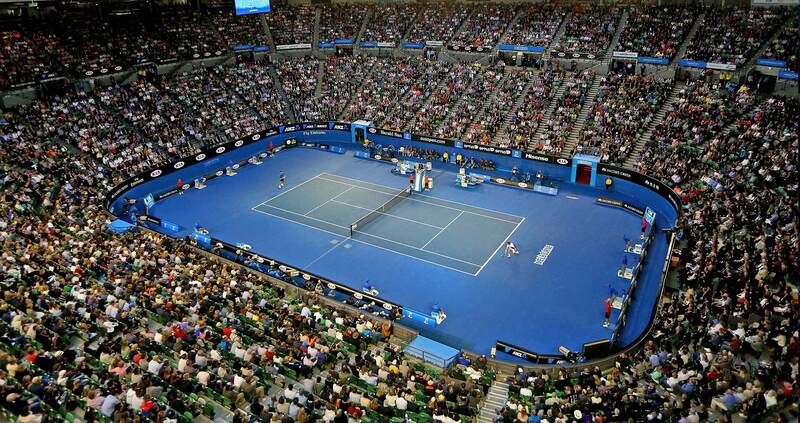 “I mean, the Australian Open was not even a month ago. This was just one match. I feel like even if I don’t win any matches for the rest of the year, I wouldn’t say I’m concerned. I think I’m pretty young. I still feel like I have a lot to learn.” She said. 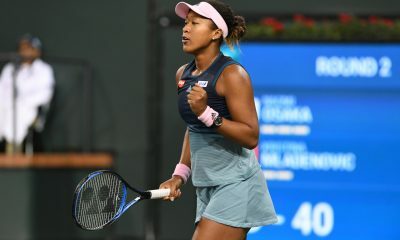 Despite her setback on the court, Osaka maintains her world No.1 ranking heading into the BNP Paribas Open (Indian Wells). She is hoping her latest loss will make her stronger as a player. “For sure there’s no one that really thinks losing is fun. But for me, I’ve always been taught that when you lose, you learn more than when you win. 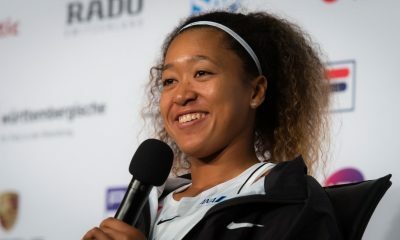 I try to take that as really important advice because I think it is true.” wtatennis.com quoted Osaka as saying during her interview with Japanese media. Osaka is currently down, but is certainly not out. At the annual mandatory 2018 ATP players meeting in Melbourne prior to the start of the Australian Open, Novak Djokovic, the president of the Players Council, discussed creating a “real” players’ union. The idea involved forming an organization that was solely focused on improving the wellbeing of its members. Unfortunately, the day after that idea was put forth, Djokovic back-peddled. Borrowing, perhaps, from the “Fake News” pillorying that has become a part of today’s political news cycle, he claimed his message was taken out of context. Somehow, he overlooked the fact that he had a lawyer with union expertise on hand to discuss some of the details involved in creating a legitimate union. He claimed that all he was interested in seeing was that the players earned more from the game’s behemoths, the fortune making Grand Slam tournaments. Maintaining the status quo, albeit with occasional new touch-ups to cover the surface chipping, seemed entrenched until Chris Kermode’s leadership was put in the spotlight this year in Melbourne. Vasek Pospisil, who is on the Player Council representing those ranked between 50 and 100, e-mailed fellow players saying that the group should begin to act like it was involved in running a major business. What’s more, members should not be afraid to voice opinions. The Canadian pointed out that the current ATP operation clearly favors tournaments and the individuals/companies that own them, (meaning that the players are secondary at best, even though they are the ones the throngs of fans pay the big bucks to see). He suggested that Kermode’s contract should be terminated and a CEO, who focuses on players’ genuine interests, should be found. As is often the case when there is administrative turmoil in tennis, an all-star cast of current and former players have been waving their Kermode flags in support. The steal-strong backing was offered despite the facts Pospisil put forth, including the point that the prize money offered by the majors was still less than ten percent of their annual revenue. In the end, he became an outlier. 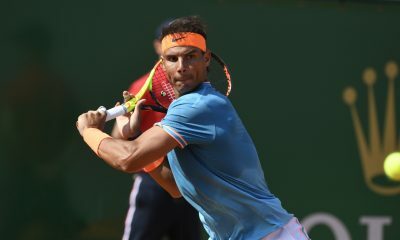 In “A Tennis Wish List for 2019” , which appeared in the January 12th edition of the New York Times, the esteemed tennis journalist Christopher Clarey admitted that his No. 1 wish was for tennis unity. 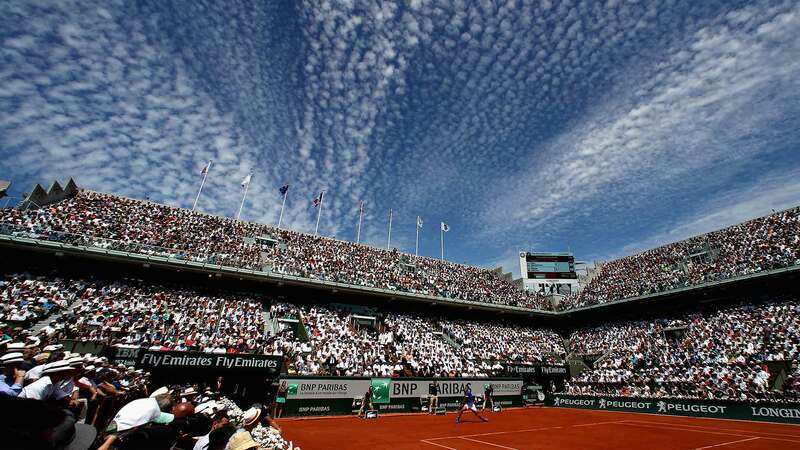 He wrote, “That would require each of tennis’s seven governing bodies to cede some of its authority, a situation that would probably require an existential threat to the game’s viability or profitability. “In an imperfect but still better world, unity could also mean a genuine players’ union — why not men and women together while we’re wishing? — That could make for more meaningful progress on tennis’s now-intractable issues through tough negotiations with those who own and operate the tournaments. “In the current system, the players and regular tour events are in partnership, an unusual arrangement in professional sports that can make consensus and change difficult. Perhaps insight, along with “how to do it” direction, could be gained from what took place in New York during the first week of January, this year. A collection of major banks and brokers decided to set up a new stock market in the US. The Members Exchange idea was driven by the unhappiness resulting from a number of issues. Foremost was the fees exchanges charged for transferring money. The back story is clear – Those involved want to control their own destiny. Time will tell if the players will ever be able to have anything more than pseudo control. Time is also a component in Kermode’s case. His position will be the major issue discussed at the ATP players meeting at BNP Paribas Open in March at Indian Wells, California. Perhaps there will be others who, once the “politicking” is side-stepped, find the gumption to step up. Imagine if a standalone organization, a player collective sans tournaments, agents and organizations, was decided upon? In 1973, the concept resulted in the original ATP being brought to life. In 1990, a bad knock-off version II originated. 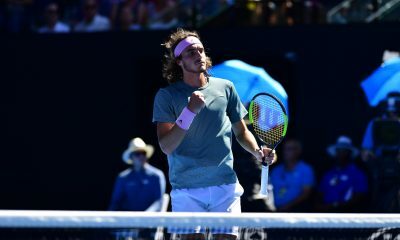 Will ATP members have the fortitude to cross the line with Pospisil and initiate a process that will lead to actual player representation in the world of tennis? Unfortunately, other than a smattering of vocal support, things haven’t changed much. Players at the top of the rankings are busy training, traveling then competing. Competitors, who are more lowly ranked, have tunnel vision when it comes to finding tournaments where they can build their rankings and collect decent prize money. Collectively, players don’t seem to have enough hours in the day to do all that is needed to even get the ball rolling to launch a union.